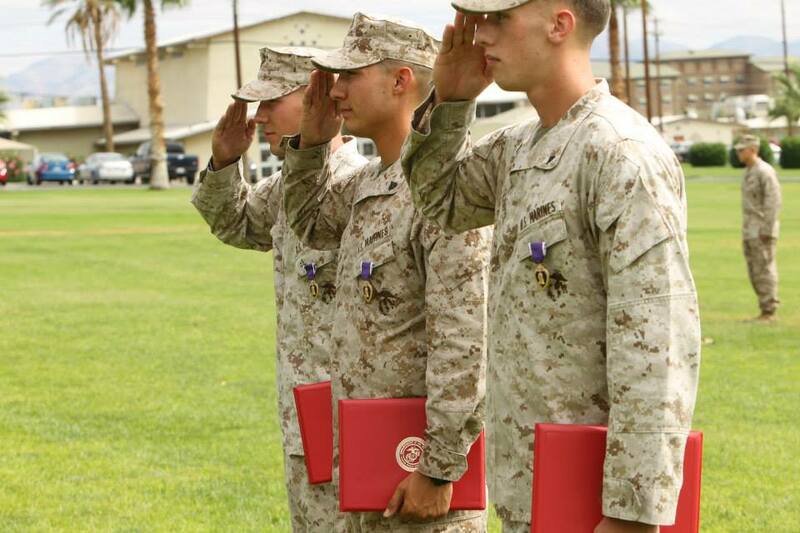 Marines with 2nd Battalion,7th Marine Regiment, were awarded with Purple Hearts at Lance Cpl. Torrey L. Gray Field Aug. 26, 2013. The Marines received the medals for their actions while deployed to Afghanistan in support of Operation Enduring Freedom. I was unable to obtain names as of yet, but I want to thank the brave “Wardogs” of 2/7 for their heroism in Afghanistan.